The best Brown of the week fell to David Hild from Wetherby, Yorkshire. David brought a 7lb 5½oz specimen to the scales. A delighted Simon Ashton from Bourne, Lincs, managed a personal best fish of 7lb 1oz from the North Arm. Simon followed this up a few days later, last weekend, with another 5lb plus fish. Please note that the Brown trout season finishes Wednesday 29th October after that date all Browns caught must be returned back alive to the water. Adi Naylor and Lloyd Miller, fishing in separate boats in the final rudder match of the season on Saturday, caught specimen Browns of 6lb 9oz and 6lb 1oz respectively. 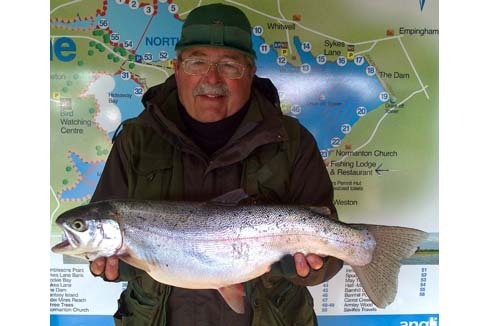 Whilst season ticket holder Jim Watts from Ryhall returned a 6lb 2oz fish during the week. There were a few Rainbows worthy of mention with Des Welch of Derby banking a magnificent 6lb fish which fell to a humungus. John Batterson of Mansfield, also fishing from the bank, netted a fine 5lb 14oz specimen on Saturday morning. Warden Andy Ainscough had a short session off the bank and found fish feeding in the lodge harbour with two 3lb Rainbows and a Brown. Andy used a minkie on a floating line to take his fish. Fish are still well scattered around the reservoir, there are also signs of late feeding activity in the open water at certain times of the day with fish chasing this year’s fry to the surface. Gulls are giving away their presence and joining in on the feeding spell. Brown trout season ends 29 October. Winter boat restrictions start from 30 October. This match is decided on the best brace of fish, and not the total bag weight. It was also the final match of the 2014 Rudder Series. Winners of the match on the day were Roy Bartrum and Adi Naylor with two Brown trout for 9lb 4oz. Second were Lloyd Miller and Dan Snaith with 8lb 14¼oz and in third were Graham Pearson and Keith Jones weighing in at 8lb 6oz. The average weight of fish caught on the day was 2lb 7oz. Two boat pairs – Richard and Tom Cooper and Keith Jones and Graham Pearson each weighed in 8 fish per pair at an identical weight of 23lb 3oz. Congratulations to Steve Crowder and Dave Porter for claiming the crown for the 2014 series. Over the course of the season’s matches they took 46 fish with a combined weight of 110lb 10oz. In second place were Martin Hearth and Jim Watts with 48 fish for 103lb 14¼oz. Third place went to Jeff Bedford and Matt Bedford with 43 fish for 95lb 2¾oz. Both bank and boat anglers should keep on the move until fish have been located rather than staying in one spot. Fry feeding fish may be located where gulls are feeding on this year’s fry. Other fish have been noticed feeding very close in on snails and corixa around the shoreline. Best Rainbow 6lb taken by Des Welch of Derby. Best Brown 7lb 5½oz taken by David Hild of Wetherby. Best boat areas Bottom of both Arms. Fishing lodge frontage, Finches to Armley Wood. Best bank areas Normanton, New Zealand Point, Sailing Club, Sykes Lane, Finches to Burley Wood. 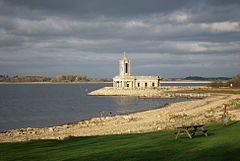 Grafham Water has again fished well for both bank and boat anglers with a rod average of 3.64. The bank fishing over the past week has once again been very good with the vast amount of trout caught coming from the southern shore of the reservoir. The most consistent areas have been South Dam, Plummer Park, Seat, Lodge Bank, Pylon Point and G Buoy/Marlow Bay. The most prolific methods for the bank anglers have again been floating lines with shrimp patterns, GRHE, diawl bachs, crunchers and minkies fished with a slow retrieve. 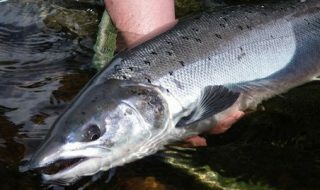 Boat anglers have also had a great week’s sport with floating or intermediate lines with tubes, viva boobies, diawl bachs, GRHE, crunchers, minkies and cormorants which are generally fished slowly. The most successful areas for boat anglers have been Gaynes Cove, A,Q,G and L Buoys, Valley Creek, Marlow Bay and the Sludge Bank. Eight anglers fished this event catching 40 trout for an excellent rod average of 5. Top rod on the day was Andy Linwood who caught 7 trout for 19lb 4oz. Andy’s tactics on the day were to fish a floating line with minkies and diawl bachs on the Sludge Bank. Andy also took the best fish at 4lb 2oz. Best Rainbow 5lb taken by P Andre. Best Brown 6lb released by Roland Dean. Best boat areas Valley Creek, A,G,L and Q Buoys, Gaynes Cove, Marlow Bay, Sludge. Best bank areas Plummer Bank, South and Bowl of Dam, Valley Creek, G Buoy, Pylon Point, Seat. Mid week boat winner B Whitwell of Whittlesey. Trout fishing at Pitsford has been challenging this week due to the blustery winds and falling temperatures. Fish are still there to be caught, but methods have been sunk lines and lures. The rod average has stayed at 2.5 and there are a good number of Browns being caught. The most notable of these was a fantastic fish estimated at 7lb, caught and returned by John Fletcher. John was fishing with Rutland Warden Bob Aves. Season ticket holder Stuart Payne also had two lovely Browns of over 4lb in his five fish bag. Many of the Browns are being returned to grow on and hopefully provide great sport for the future. Anglers are reminded that the Brown trout season ends 29 October. The best areas are the Causeway, Pitsford Creek and Pines, with sunk lines and fry patterns best. The weedbeds are now dying back and there is some good bank sport to be had with fry patterns or if conditions allow, Daddy patterns fished around or over the weedbeds. Bank anglers should try Gravels, Sailing Club Bay. 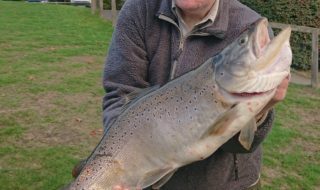 Anglers are reminded that the Brown trout season ends 29 October. Best Rainbow 3lb 4oz taken by Pat Flynn. Best Brown 4lb 8oz taken by P Skillen. Best boat areas Causeway, Pitsford Creek and Pines. Best bank areas Gravels, Sailing Club Bay. Anglers taking on the challenging weather conditions were rewarded with some silver Rainbows in superb condition. There is still some algae present but visibility is improving slowly. Lures are still catching the majority of the fish with dark coloured minkies and zonkers fished slowly on a fast glass or Di 3 line producing the best results. The fish are still concentrated around the margins of the reservoir and fishing at anchor is proving effective. On Sunday Mid Northants Trout Fishers held their Ravensthorpe Bob Church competition. 64 fish were caught (which was exactly the same number caught in the previous week’s Mick Griffin Fur and Feather). The biggest fish of the week was caught in this match with David O’Farrell taking a lovely 5lb 2oz Rainbow. The match was won by Ashley Cooper with a bag weight of 13lb 13oz. David O’Farrell was second with 5 fish for 13lb 6oz and Ian Pow took third place with six fish for 11lb 12oz. Most of the fish were caught using minkies and zonkers fished slowly but some anglers are using pink blobs to lure the fish. Bank activity has been very limited this week but many fish are being caught from the boats close in and within casting range so it is still worth a try. Best Rainbow 5lb 2oz taken by David O’Farrell. Best boat areas Monger Bank to Tall Willows, Island to Catwalk. Best bank areas Monger Bank. Mid week boat winner M Spencer of Duston.